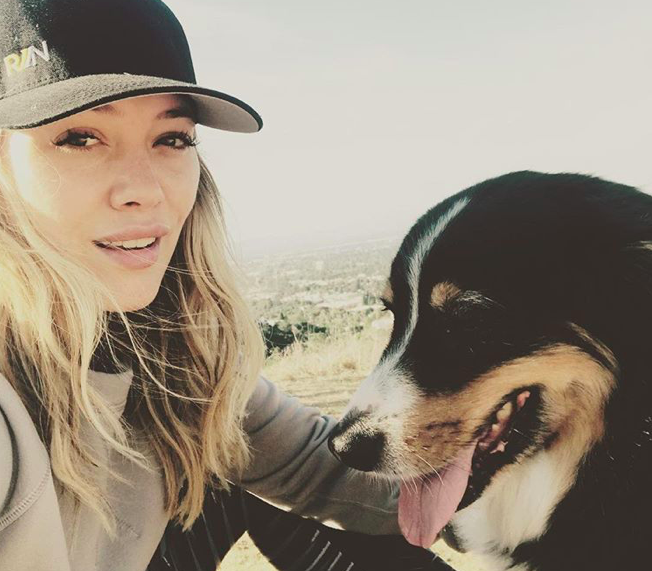 Hilary Duff’s dog, Dubois, passed away on February 19th, 2018 and she honored his long life with a lengthy note that was equal parts heart-wrenching, moving, sweet, and sad. If you follow Duff on social media, you’ve definitely seen her pup Dubois — he always made goofy cameos in her Insta-stories. However, we were shocked to learn that Duff and Dubois had been in each other’s lives for 10 years. Duff shared the heartbreaking tribute to her longtime companion in a thoughtful Instagram post. “I haven’t taken a step without you beside me for 10 years. You are my protector, my comfort, my shadow, my understanding of all things good and warm and fierce. I can’t imagine this house without your noise, your love, your energy, your smile and wagging tail,” Duff wrote in the Instagram note. There really is nothing quite like a dog’s love. During this sad time, Duff still has her two other pups (a black Labrador mix and a Yorkie) to help mend her broken heart. Our hearts go out to Duff as she says goodbye to her beloved friend, Dubois. “I never let myself imagine what this day would look or feel like. It was us. And we were invincible. I am having to look into your beautiful amber almond shaped eyes and tell you goodbye today. And honestly I would take the pain of losing you 10x over to have had you for even a quarter of that time my dubie. First of all…thank you…for being my best friend…truly. You have been with me though true pain, true happiness and joy, true confusion and disappointment and all over again.